I remember when I was a little girl, many days were spent at my Grandmother, Ida Ann Murphy Peters’ house where we had to sit down in front of the television and watch my Grandmother’s favorite “movie”, the videotape of the history of Delta Sigma Theta and the founding of the Baltimore Alumnae Chapter. We watched it so much, my sister and I, along with any little girlfriend that we brought over, knew every background song and word at the age of 7 and 4. Around Christmas time, we would spend our earlier Christmas’ with my grandmother at her sister Bettye’s house. It was a family tradition to sit around and share stories. Reason being, in our family as much as we are mostly all journalists, we do not have a written history of our family that is readily available. We would share stories so that we not only remember our family history, but so that we are able to learn from our elders and share those stories with our future generations. That being said, growing up and even now, I heard so many stories about my Great Grandmother and who she was, the life lessons she taught and what her temperament was like that I felt like I knew her, even though she passed away years before I was even thought of. I feel like I know her so intimately that I could say that we have the same temperament : Iron Fist in a Satin Glove – just like my grandmother was as well. The stories that were shared around the dinner table were never of sorority secrets, but it was a lifestyle that was instilled in us, passed down from our Great Grandparents. We were raised by our mother and grandmother to be ladies of dignity and grace. We were raised where if we see an injustice, it was up to us to do all that we can to take a stand to make a change. If not us, then who? We were raised that if we see a void where we can help the community, that it was up to us to go out and develop a program and assist the community. These things became so ingrained in us that when it came time to make the decision to pledge, in spite of the fact that we had no real choice but to carry on the Legacy (after being threatened that if we chose another way that they would roll over in their grave) that there was no other choice that I would ever make. I wanted to be like the women in my family. I wanted to make them proud. Before I was even in the 1st grade, I walked around singing “Oh just to Be! To be a Delta Girl.. the finest in the World”.. not like I knew what I was singing but I knew that one day I really wanted to be like all the Delta Girls and the Delta Women that I knew. While my grandmother was living, it is true that we were not allowed to wear pink, especially in her presence – so much so that if we did we would have an impromptu shopping trip and be sent home to my mother in other colors. She trained us up at a young age and we never questioned her about it. If a Murphy Sister told us to do something, we did it – without question because we knew that there had to be a reason as to why and it was a reason that was not superficial. Tradition was very important to my grandmother who named her only two children after her parents along with the passing down of the name Murphy as a middle name. It is unbelievable that 101 years ago, my Great Grandmother with her sorority sisters, having initially pledged another sorority at Howard University decided that their sorority should stand for more. That it should be something that would help assist a movement for the betterment of women. Delta Sigma Theta was founded in that sorority meeting on January 13, 1913. 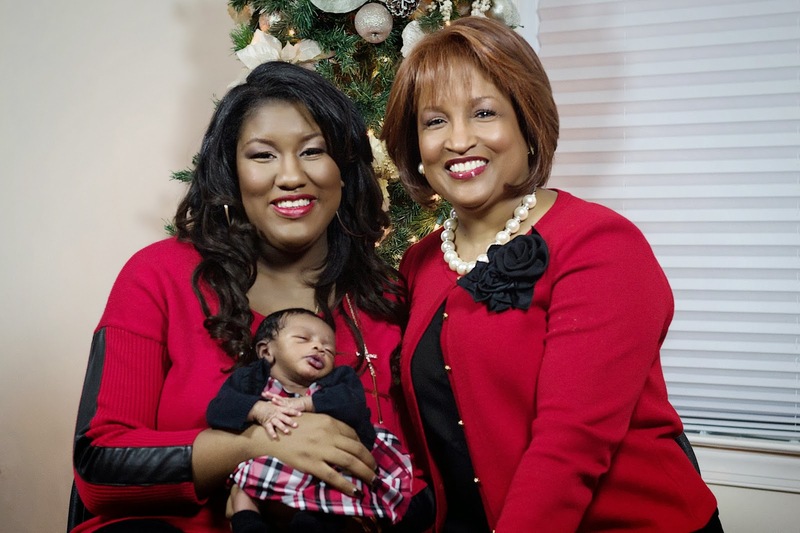 Now, 101 years later – My Great-Grandmother, Grandmother, Mother, Sister and myself have all crossed the burning sands into Delta Sigma Theta – the Legacy continued and prayerfully will continue through my daughter Vashti-Gracia. When she is old enough, I will begin to teach her the importance of Legacy and tell her the stories that have lasted now 101 years. 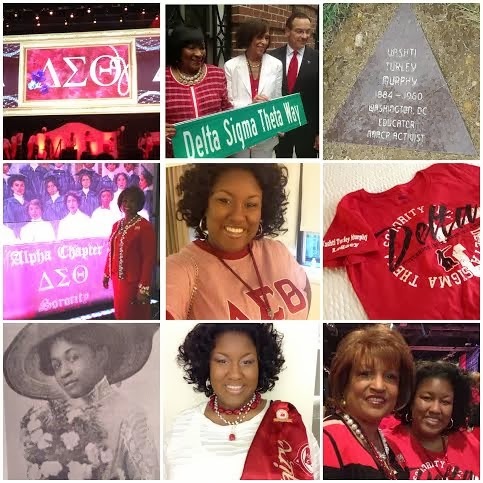 Happy Founder’s Day to my Sorors of Delta Sigma Theta Sorority, Inc.